At VIP Studio Sessions we are working with teachers across the country to build towards promoting an increased uptake of music qualifications, with the work done at KS3 a perfect introduction to the composition and music tech skills needed later for GCSE and BTEC. Schools across the UK are using VIP to engage all year groups with skills in composition, production and music tech with some incredible results. Even those with no experience at all have been managing to produce professional-sounding tracks, and some schools have had incredible results with entire year groups. 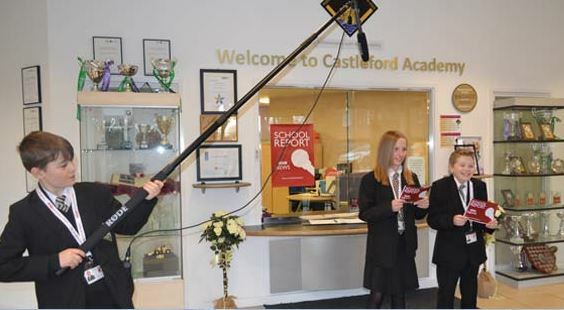 In Wakefield, the Castleford Academy really exceeded everybody’s expectations, and by running an internal competition they managed to get a finished House music track uploaded from every student in Year 7! We have taken this work and used it as a model of best practice that is now feeding into the work of schools nationwide. You can listen to some of their tracks here. One piece of key learning from this particular Year 7 group, was that following some initial tracks that didn’t sound quite like House music, teachers and students realised that those who stuck to the step-by-step videos closely, came out with tracks that really sounded like the genre they were aiming to produce. The Year 7s listened to examples made by successful Year 8 students and worked really hard to follow the step-by-step tutorials through to the end. The result is that we received a finished track uploaded by every single member of Year 7 – hundreds of tracks! The competition put on by the school to release a CD also really worked to boost uptake, inspiring the whole year to get involved and all these things combined, resulted in some amazing work. The school even produced their own poster to promote the competition internally and sold the CD in the tuck shop to raise money for charity. We were so impressed with the winners of this competition that they also won our monthly VIP competition and we ran a special one day House Music masterclass at the school as a prize. “We offer BTEC and GCSE with AQA at Key Stage Four at our school. VIP Studio Sessions is a fantastic way to introduce pupils to Music Technology at Key Stage Three. The software hooks the pupils in and allows them to experience recording/sequencing. Differentiated resources are provided on the VIP website and these videos are invaluable for teachers with an ever increasing workload! We offer schools and teachers a 30-day free trial, click here to sign up.